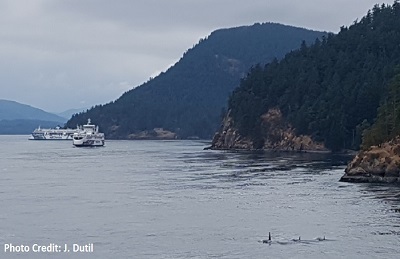 Designed for commercial mariners, the Mariner’s Guide to Whales, Dolphins, and Porpoises of Western Canada was developed to increase awareness about the potential impacts of commercial vessel activities on cetaceans in British Columbia and how mariners can reduce these impacts. 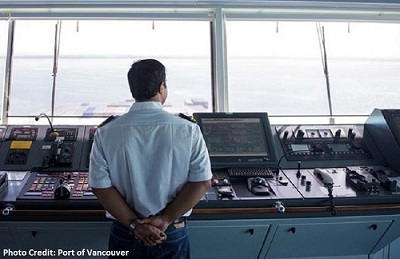 The WhaleReport Alert System (WRAS) broadcasts pertinent details of whale presence to bridge crew and pilots of large commercial vessels so that they can implement speed reductions or other measures to reduce their risk of disturbing or striking whales. 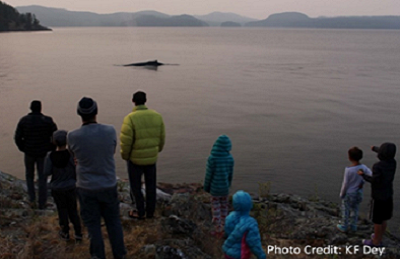 The Whale Trail BC is a land-based whale watching initiative which establishes marine mammal viewing sites along the coast of British Columbia. The goal of this initiative is to inspire stewardship and appreciation of the marine environment while providing opporunities for zero-impact whale watching.